I have been lucky enough to perform quite a bit on various TV shows during my career and I thought would write a few scattered thoughts on this aspect of performing. It is the goal of most magicians to take their magic on to the small screen, however not much is written on the topic. Over the years I have appeared on a bunch of variety/comedy/talk shows and also appeared in dramatic acting roles, I have even done the odd sit-com or two as well. The very best work is the episodic and sitcom roles—why? A one word answer residuals. There is nothing better than finding a show you filmed ten years ago is still bringing in a little cash. The thing about residuals is that the checks keep getting smaller and smaller as the years go by, but they keep coming in. Eventually the check you receive in the mail is worth less than the stamp that was used to get it to you. There used to be a bar in LA called ‘Residuals’ where you could pay for a round of drinks by trading in your check. The walls of the entire bar were ‘wallpapered’ with those checks. The other kind of TV work that is always open to magicians is the role of technical advisor. Every TV series eventually has a ‘magic episode’ and these are great gigs– if you can get them. The very best piece of advice I can give you is to try and talk your way into a small acting role in the show you are advising on. To twist a Robert Houdin phrase, remember that sometimes an actor is just a magician playing the part of an actor. Why is this a desirable event? Because your acting role can allow you to receive your fee for the advisory role on a union contract and you get residuals on it. One of the most lucrative gigs I ever had was working on Steven Spielberg’s TV series ‘Amazing Stories.’ My three-week salary as technical advisor was added to my 30 second acting salary and I received checks for well over a decade. Nice ones! You may wonder about the entire union situation, well generally speaking you can get a union waver for your first gig or two before stepping up to the plate and joining a union. 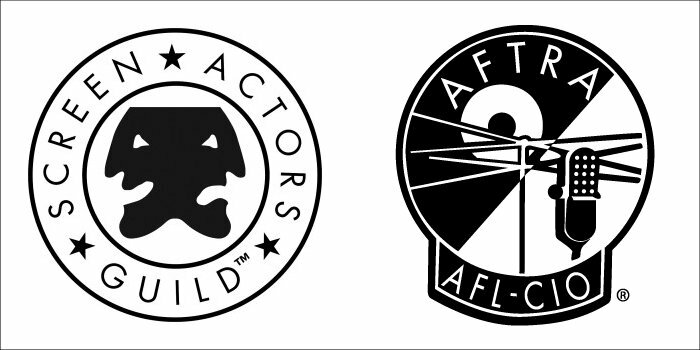 In the USA the key union is SAG-AFTRA. If you get the opportunity it is certainly worth joining a union—sometimes just for the potential medical insurance plans. One word of warning though, if you switch to a SAG insurance plan you need to remember that if you don’t get enough union work you can loose your coverage. I know several people who have been stranded in this manner. Filming a variety show is an easier bet for most performers, you will only get one check and it is usually (unless you are a big star) at a union minimum fee. However, you can sometimes parlay these types of shows into major career ‘stepping stones’ over time. Very seldom does a single show make much of a difference to your status quo though. When you perform your act on this kind of show you should be prepared to receive quite a lot of input into the material you perform. It is someone’s (usually the talent coordinator) job to know exactly what you are going to do and say. When it has been decided upon do not decide to improvise, it will not be appreciated.The second Golden Rule of variety TV is to know exactly how long your act is supposed to run and do exactly that long. In spite of how crappy most television is, it is very exact crap. If you want a second booking then follow these two rules, of course it kinda’ helps if the set is good too……. I was very impressed by a piece of advice that Jason Andrews gave in a recent interview with me about his ‘America’s Got Talent’ experience. Jason recommended being very careful when filming a show because you never quite know whom anyone is. He had a brief conversation with somebody and had no idea that it was his director! Make sure you get a professional service to make a really professional copy of your show when it airs. It can be a long wait, and sometimes a fruitless one, if you are expecting the production company to supply you with a copy of your segment. Once your set is taped and ready to air the company will likely loose interest in your existence till the next time they need you! ~ by Nick Lewin on July 19, 2013.